Introducing the First Holy Communion bow. This 4″ boutique style bow comes with a white accent bow and center knot. 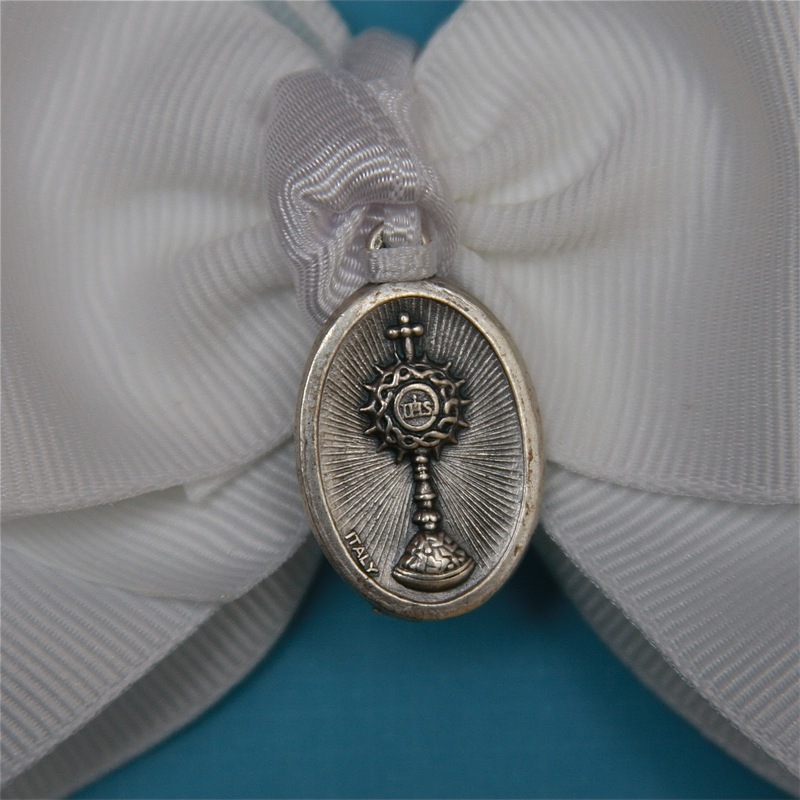 It is adorned by the Blessed Sacrament medal and makes the perfect gift for upcoming communicants.